Doctor Tas Walker worked as an engineer for 30 years for electricity companies that operated coal-fired power stations. They also operated hydroelectric generators and generators powered by large jet engines. He planned future power stations, investigating combined cycle plants, wind generators, nuclear energy, coal seam methane, pumped storage, solar energy and many other technologies. ‘The existence of thick seams of coal is powerful evidence and a problem for long-age geologists. They speculate that the vegetation that became coal grew in place in huge swamps. They imagine that a swamp environment prevented the vegetation from decaying, allowing it to build up. The lights went on for me as I realized that the Flood was key to understanding Earth’s history. It was exciting. ‘He gave me a chemistry set and I enjoyed mixing chemicals together. There were not too many explosions, but my mother was a bit worried at times. ‘Because the Bible is the Word of God I assumed it was true. But when I read Genesis on Creation and the global Flood I wondered how it related to geology, astronomy and other sciences. 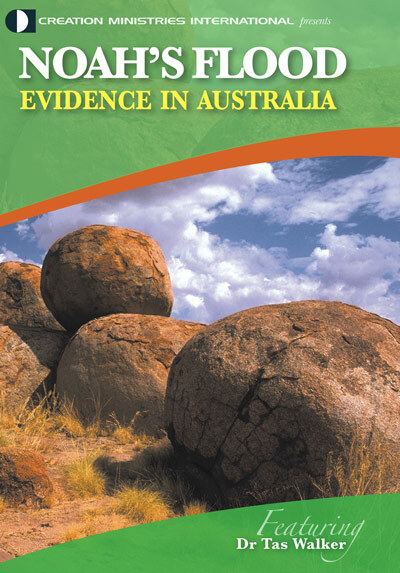 I had heard that sea shells had been discovered in the interior of Australia. 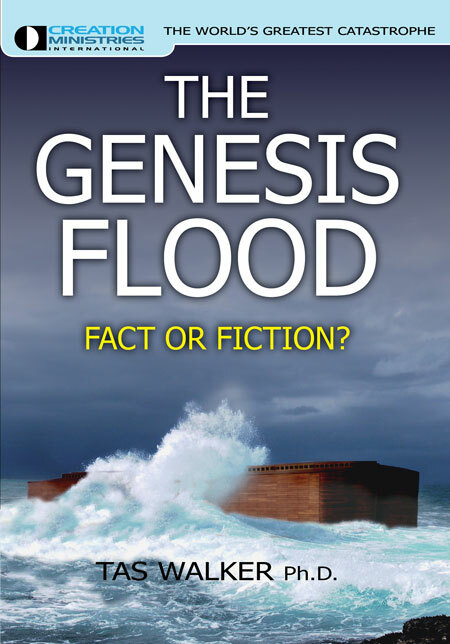 Surely this proved that Noah’s Flood really happened? But why didn’t the pastors at our church talk about it? I put the whole question to one side and focused on New Testament things. 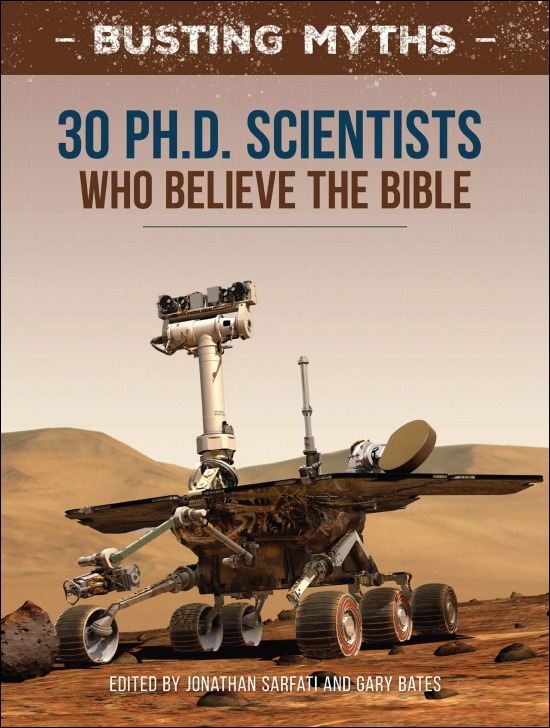 ‘I was not confronted with evolution during high-school or during my university engineering course. It only became an issue when other people raised questions and I wanted to answer them. I wanted them to see that the Bible is true, God was real, and to come to know the Lord Jesus Christ as their Saviour. 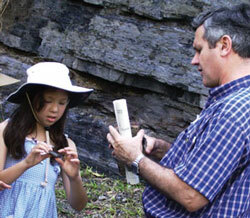 Examining coal during a geological excursion. The coal seam (background) formed from vegetation debris deposited as floodwaters were rising—during the Ascending phase of the Flood. ‘My wife and I toured New Zealand in 1993. Evolution and millions of years were presented everywhere: at museums, at tourist sites, by the bus driver, in the publications. I was so concerned that I submitted an abstract about a biblical geological model I had developed (pictured below) to the International Conference on Creationism (ICC).3 It was accepted, but then I needed to ‘come up to speed’ with the geology to write the full paper. One of my work colleagues said, “No one will take any notice of you unless you have formal qualifications in geology.” So I went back to university to study geology. ‘Other students would ask, “You have a Ph.D. in engineering. Why come back for a science degree?” I really enjoyed the formal study because I was able to learn the latest geological ideas. I interacted with experts in the field. And my confidence in the biblical framework increased. ‘Each week one of the researchers in the geology department would lecture about their work. Occasionally they would discuss a problem that was difficult to explain, and often I could see how the biblical Flood could explain it. I told one researcher that I had an idea for how his problem could be solved. He knew where I was coming from and didn’t want to know about it! 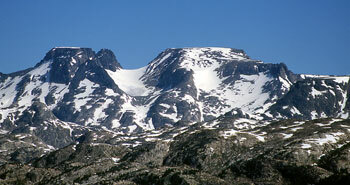 Hard granite peaks of the Beartooth Mountains, south-central Montana, USA, planed smooth by floodwater receding from the land in sheets—the Abative phase of the Flood. As part of his degree (for ‘Honours’), Tas did a research project involving radioisotope dating, which is very relevant to geology and the Bible. He initially planned to test different dating methods, but his supervisor, puzzled, asked, ‘Why do you want to do these tests? People in the department won’t support testing radioactive dating. They would consider that a waste of time.’ Tas still managed to develop a project that included radioactive dating studies. One ‘reliable’ method of dating involves plotting the ratios of parent and daughter isotopes on a graph. This ‘isochron’ line purportedly represents the age of the rock. Tas found that graphs of ratios of various non-radioactive elements also gave nice lines, which means that there must be causes for the lines apart from radioactive decay. This means that the lines based on radioactive elements cannot be assumed to represent the age of the rock. Geologists don’t accept the results of radiometric dating without question. When a result is ‘off’, they will think up a different history to make the result compatible. I asked Dr Walker what he thought of radioisotope dating. ‘Radiometric dating is a genuine attempt by geologists to measure the age of rocks. But we cannot measure age directly. We can measure isotopes in the rock very accurately, but to calculate an age we have to make assumptions about the past, including how the rock formed, what was in it and what has happened to it since—we have to assume its history. The age calculated depends on these assumptions. ‘Geologists don’t accept the results of radiometric dating without question. When a result is “off”, they will think up a different history to make the result compatible. ‘There are many examples of radiometric dates of objects of known age that are wrong. And there are many examples of dates from different methods that disagree. Tas noticed that even creationist geology articles referred to the geological column. He could not find any explanation for how the Flood related to the rocks in the column. Tas asked himself, ‘If we start with the biblical history, what would we expect to find in the rocks?’ That’s when he developed his simple conceptual model to help figure it out (see diagram). He found the model worked very well on the geological maps for the area where he lived and explained the landforms nicely. His 1994 ICC paper was well received. Since then other creationist geologists have used the model to interpret the geology of different parts of the world. Even some evolutionists have seen the power of the model, in that it can be applied to real geology in the field. They just mock the biblical Flood as a real event. Dr Walker’s conceptual geological model translates biblical history (timescale, left) into geological units that can be identified in the field (rockscale, right). See www.biblicalgeology.net for more explanation. (click image for larger version). Dr Walker conducts geology excursions for CMI: ‘I aim to show how long-age geologists interpret the rocks and how the rocks can be interpreted from a biblical perspective’. The geology excursions have been very popular. Many people relate how a field trip has totally changed the way they look at landscapes as they travel around. They now see evidence for the Flood everywhere. 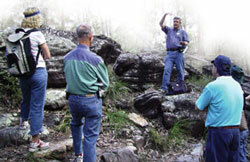 After Tas finished his geology degree in 1998 he began working with CMI. He wants to help people understand the true history from the Bible because it is foundational to all doctrines, including the Gospel. Julien, P.Y., Lan, Y. and Berthault, G., Experiments on stratification of heterogeneous sand mixtures, Journal of Creation 8(1):37–50, 1994; See <creation.com/layers>. Return to text. A classic creationist text published in 1961, by John Whitcomb and Henry Morris, that has been pivotal in the thinking of many leading creationist scientists today. Return to text. Walker, T., A biblical geologic model, 3rd ICC, Pittsburgh, Pennysylvania, pp. 581–592, 1994; www.biblicalgeology.net. Return to text. 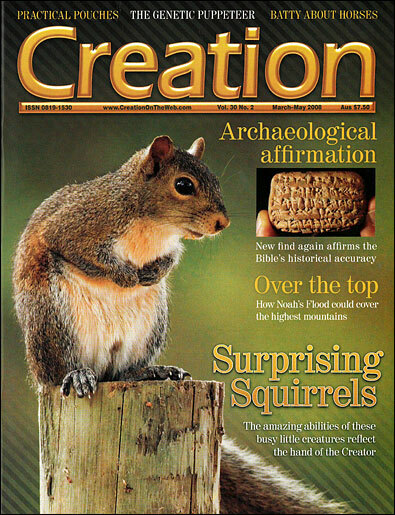 See Radiometric dating Q&A: <creation.com/dating>. Return to text.